Roland Sigrist is the Director of CYBATHLON at ETH Zurich. He studied Human Movement Sciences and was trained as a physical education teacher at ETH Zurich. 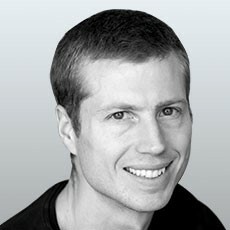 From 2009 to 2014, he successfully completed his PhD studies focusing on complex motor learning with augmented feedback at the Sensory-Motor Systems Lab of Professor Robert Riener, the initiator of CYBATHLON, a competition for people with physical disabilities using latest assistive technologies, including robotic technologies. After finishing his studies, he took over the responsibility for the development and organization of the races of the first CYBATHLON (2016) as the Competition Director. Since 2017, he’s leading the CYBATHLON project at ETH Zurich.